Last week, Crafter's Companion Co-founder, Sara Davies came over from the UK to share some fab goodies on HSN. The US designers made lots of fun projects for the show & this is one that I came up with. For the box, I used The Ultimate Tool and then added this pretty Sheena Douglass Lily to the top that I colored with my Spectrum Noir Markers (colors listed below). Happy Monday Friends! 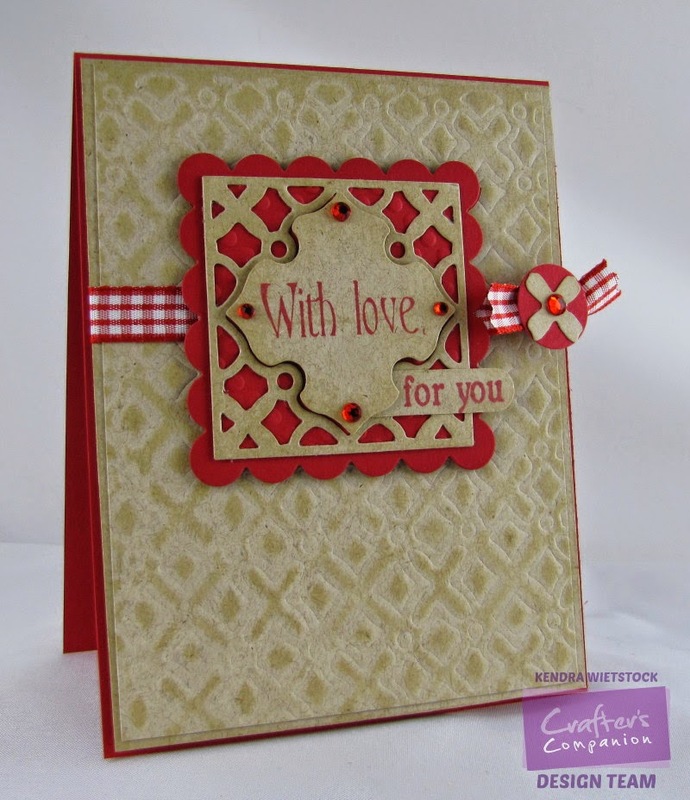 Today I have a card using one of the new Die'sire Create-A-Card dies from Crafter's Companion called Moroccan Lattice. I used the die to emboss the background by placing a rubber mat over the cardstock so it wouldn't cut the pattern. Then I used the die again to trim the inside square and insert. Each year since 2013, Taylored Expressions does a "Share Joy" Campaign where we partner with an organization to give handmade cards for their great cause. This year, the new Share Joy campaign is focused on Thinking of You cards to support grieving families in the community. You can get involved by sending in your cards. Read all about it by clicking on the photo below. Please have your package postmarked by May 8 in order to qualify for the drawing, however, we will continue to accept donations beyond this date. Prize pack winners will be announced on May 18th. Design team member Jen Shults was kind enough to provide us with a fun sketch for our Share Joy campaign. Feel free to use the sketch if you're looking for a jump start, however, using the sketch is not a requirement for card donations. Here's a card I made using the sketch ~ supplies are listed below with links. The Cast and Crew for Gina K Designs welcomes you to another fabulous Inspiration Blog Hop! Gina, along with the Cast and Crew, make sure to leave a comment on each of them because we will choose a few random comments and those stampers will each win a grab bag of Gina K. Designs products! To see the full list of winners check the Big News Forum at StampTV a few days after the hops. 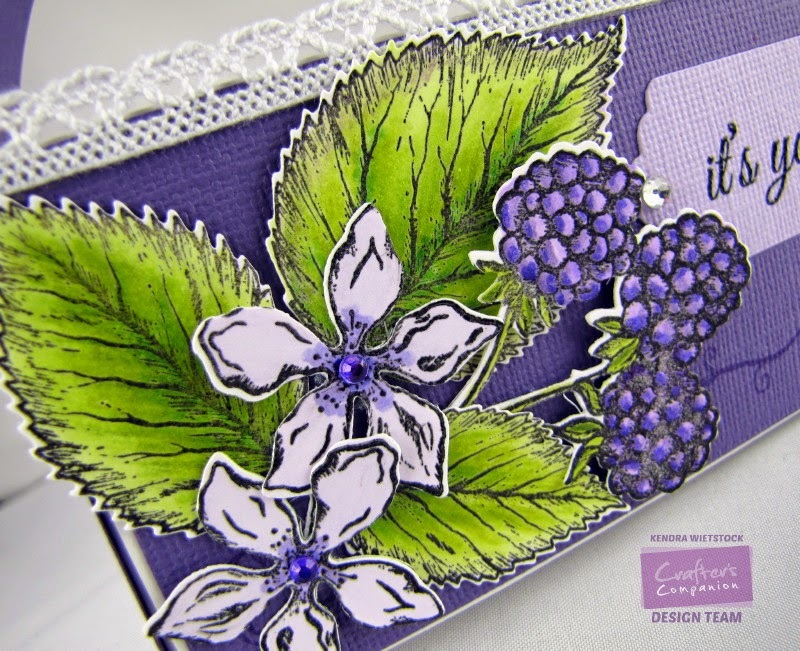 Today I have a quick and simple card using Beth's new Delicate Damask stamp set. I love how how many ways you can use this beautiful set. I just trimmed a quick tag and stamped the large image from the set slightly off center. Added a sentiment and trim to the tag. Then I added a bow, some gold pearl gems and added the tag to a cardbase... voila ~ super simple. The patterned paper is from Crafter's Companion and matches the stamped image perfectly. The Cast and Crew for Gina K Designs welcomes you to Day #2 of our Inspiration Blog Hop! Gina, along with the Cast and Crew, will inspire you with many beautiful ideas! And as you hop through their blogs, make sure to leave a comment on each of them because we will choose a few random comments and those stampers will each win a grab bag of Gina K. Designs products! To see the full list of winners check the Big News Forum at StampTV a few days after the hops. Today we are featuring Theresa's new set called Elegant Florals 2. There are so many lovely images in this set, I didn't know which one to pick up first! To begin coloring with my Spectrum Noir Markers, I started with the stem using LG2, LG4 and LG5. I began with the LG5 and added it just along the left edge, then added LG4 and used LG2 to blend them together. Next, I used a grouping of coral colors in the CR color family for the flowers. I started with the flower buds and used a CR4 marker along the base and outside edge. Next I added CR3 marker and kept going over the bud until it blended as I liked it. For a bit deeper color, I added just a touch of CR7 at the base and edge of each bud & then added more CR3 to soften and blend. For the larger flowers, I selected more colors from the Coral (CR) color family. I started with CR11 in the center of the flower. Added CR8 working my way out from the center toward the edges of the petals. And finally added CR7. To pick up some of the darker corals, I used a blender pen in the middle of each petal to lighten up the look. As you are coloring, don't be afraid to add more color and re-blend colors... sometimes it is trial and error until you get the look you like. Here is the list of colors I used for my flowers. I added some Stickles to the center of my flowers, but I like how the coral shades turned out. The Cast and Crew for Gina K Designs welcomes you to another fabulous Inspiration Blog Hop! Gina, along with the Cast and Crew, will inspire you with many beautiful ideas! And as you hop through their blogs, make sure to leave a comment on each blog because we will choose a few random comments and those stampers will each win a grab bag of Gina K. Designs products! To see the full list of winners check the Big News Forum at StampTV a few days after the hops. For my card today, I used Melanie's new set called Triple Play Frame for the frame, the flowers and the sentiment. I decided that for this card, I was going to focus on the 3 framed circles from the large frame stamp and trim the rest of the frame away. I used Spectrum Noir IB2, to color the outside of the frame. and BT3 to fill in the open spots between the circles. The nice thing about Spectrum Noir markers, is that you can make anything match your projects. I wanted matching ribbon, so I colored some of the white sheer ribbon with my IB2 marker. I also wanted my rhinestones to match, so I colored the clear gems with my DR3 Spectrum Noir marker. Here are the 3 Spectrum Noir markers I used for my project today. I'll be back tomorrow with a new Spectrum Noir Coloring Tutorial! Crafter's Companion & HSN Team Up! The Co-Founder of Crafter's Companion, Sara Davies, is coming across the pond from the UK to share more goodies on Home Shopping Network (#HSNCrafts). The shows will air tomorrow, March 24th, and the US designers have been hard at work making beautiful things for Sara to share. 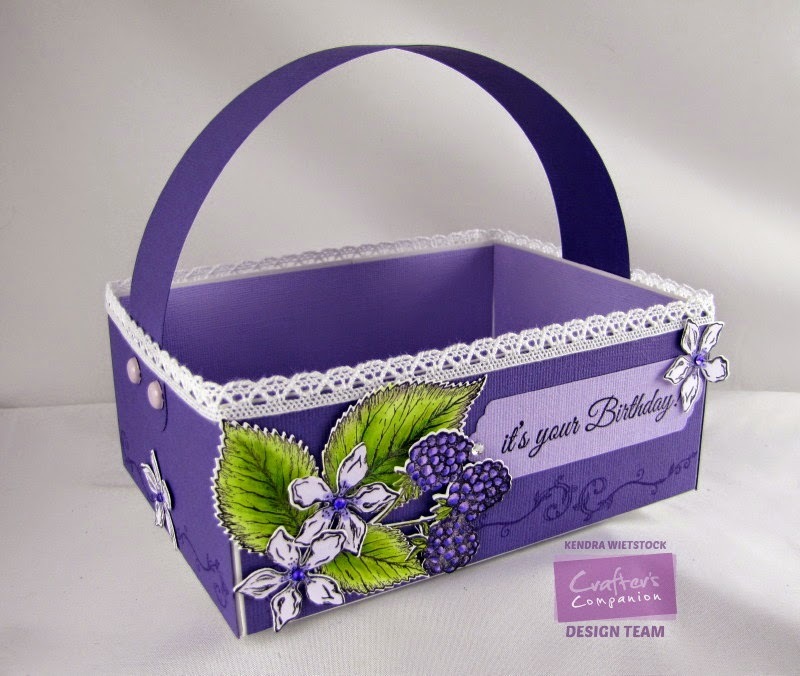 I made this pretty basket using Sheena Douglass Perfect Partner stamp sets & dies and colored the images with Spectrum Noir Markers. Supply list below. 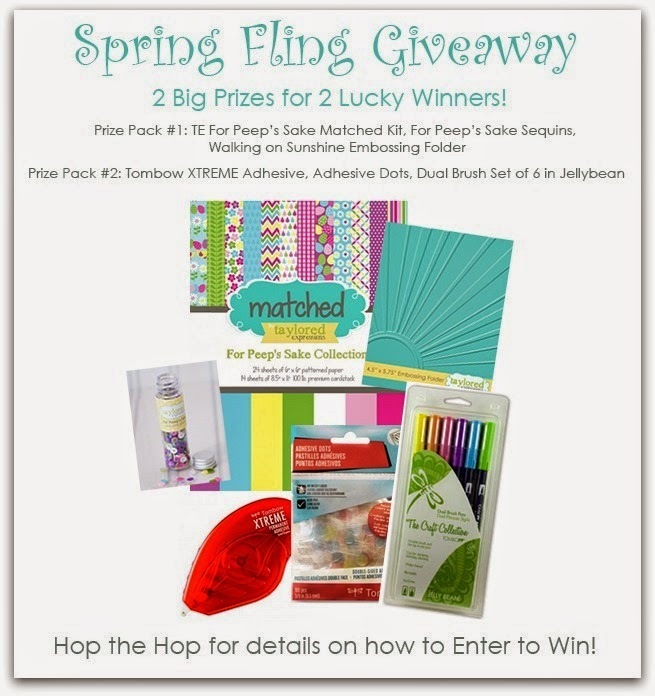 Spring Fling with Taylored Expressions and Tombow! 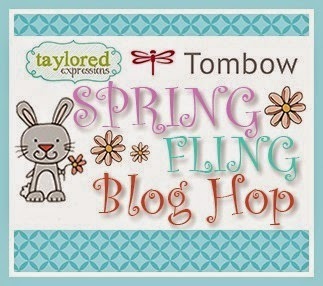 Hi everyone, if you’re following the Taylored Expressions and Tombow Spring Fling Blog Hop, then you should have arrived from Jennifer Priest's Blog. We have partnered up for a fun, two day, blog hop! And what’s a blog hop without a giveaway? Take a look at the TWO prize packs down near the bottom of my post. But first... check out my projects! Using the Taylored Expressions Sack-It Lamb die set along with the Sack-It To You box die and the fabulous TE Felt (links and colors listed below), I made this fun little Easter Gift Basket. After cutting out all of the pieces & embossing the box, I used Tombow Xtreme Permanent Adhesive and Mono Liquid Glue to attach everything together. The Tombow Liquid Glue has a duel tip ~ one for large areas and a pen tip for small items. For my second project today ~ I made a gate fold card with the Tombow Hook & Loop Tabs. I used the super sweet Somebunny Loves You Stamp set and matching dies for the front of my Gate Fold card. The inside of the card using the Tag-A-Long Easter Stamps and Dies. The Tombow Hook & Loop Tabs for the closure. Then I used the Tombow Foam Tape to pop up the sentiment and images. Would you like even more inspiration? Here are the "hoppers" from yesterday! New Die'sire Dies from Crafter's Companion!